This page contains a single entry from the blog posted on November 17, 2005 11:23 PM. For the second time in as many months, the City Council has voted to turn back the designation of the Landmarks Preservation Commission. On Wednesday, November 30, 2005, the Council voted 43 to 6 (with 1 abstention) to turn down the designation of the Austin, Nichols & Co. 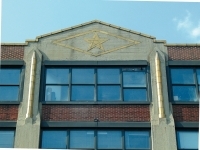 Warehouse, located at 184 Kent Avenue in Williamsburg. In October, the Council turned back the designation of the Jamaica Savings Bank in Elmhurst, Queens. Local Council Member David Yassky led the Council’s push to de-designate the building. Yassky claimed that designation impede the proposed redevelopment of the Williamsburg waterfront, “limiting development through the Landmarks Preservation Commission instead of through the community boards and the Dept. of City Planning.” Despite Yassky’s claims, the designation was supported by the Department of City Planning, and endorsed as part of the Council’s own vote to enact the rezoning of Williamsburg and Greepoint. Furthermore the designation of Austin, Nichols would have affected only one building in the 184-block rezoning area. 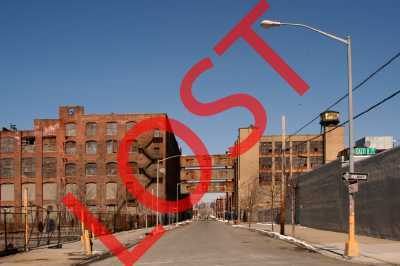 Yassky’s position likewise ignores the significant role Landmarks has played in the rehabilitation and revitalization of many of New York’s formerly industrial neighborhoods. The designation of the Austin, Nichols & Co. Warehouse came after a year and half long campaign by local residents, during which time over 500 people submitted postcards to the Commission urging LPC to consider the building for landmark designation. Over 1,500 people, a majority of them residents of Williamsburg and Greenpoint, have petitioned the City Council to uphold the designation. 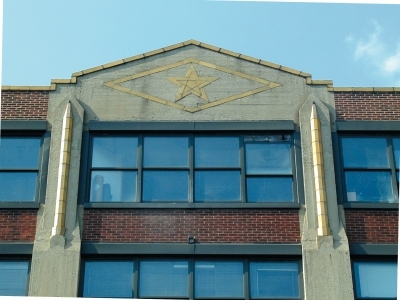 Earlier this month, the Council Subcommittee on Landmarks, Public Siting and Maritime Uses also held hearings aimed at forcing the Landmarks Preservation Commission to be more responsive to local calls for landmark designation. Taken together, the Council’s recent actions have left many preservationists concerned over the future of the Landmarks law. Since its enactment in 1965, the Landmarks law has been instrumental in the revitalization of many of New York’s neighborhoods. Preservationists now worry that the Council is sending mixed signals, on the one hand demanding accountability to community interests, while on the other hand turning back designations that are well-considered and have strong local support. Designed by Cass Gilbert in 1915 as the headquarters for what was then the larest grocery wholesaler in the United States, the Austin, Nichols & Co. Warehouse has long been one of the most prominent industrial sites on the East River. The designation of the building was strongly supported by community residents, preservationists and architectural historians. At a public hearing before the Landmarks Preservation Commission on July 28, 2005, an unprecedented number of architectural historians testified in favor of designation. The community-led push to designate the building was spurred by plans submitted with a variance application in 2004. 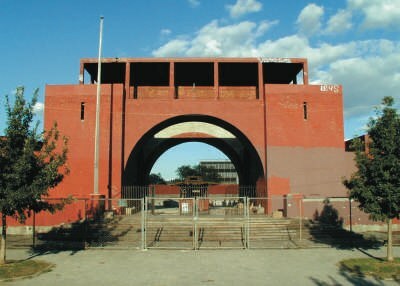 Those plans, prepared by architect Karl Fischer, included significant alterations to the building, including removing large portions of the exterior walls and constructing a six-story addition on top of the six-story warehouse. It was these alterations, prepared by architect Karl Fischer, that spurred local preservationists to push for designation of the building. The Waterfront Preservation Alliance of Greenpoint & Williamsburg continues to work for the designation of this important local landmark. Learn more about the Austin, Nichols & Company and why it deserves landmark designation here.